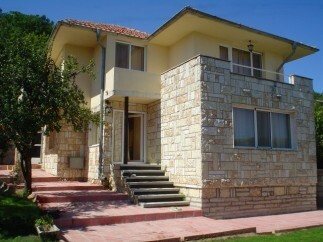 Accommodation in a holiday villa in Balchik, located on the highlands of Balchik beside a pine forest, 500 m from the beach of Balchik palace. You can walk 10 minutes to the center of Balchik city, drive 10 minutes to Albena resort( modern holiday resort with wide beaches ), 20 minutes to Golden Sands ( try the jeep safari and the natural park or go night clubbing ) and 30 minutes to Varna - Sea capital of Bulgaria. We are a group of 6-8 persons from Romania and we intend to stay in Balchick within 20-23 May for 4 days/3 nights. 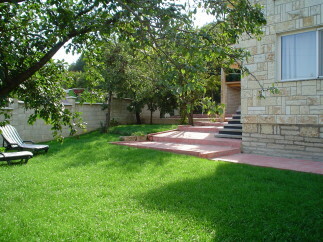 Please inform description of villa, photos, rates and terms. Please send me an email adress so we can talk about an reservation in your villa. We have found about you and your offer for tourists from pe internet. We want to come to Balchik between 30 July and 7 August. We intend to arrive in 30 July and spend 7 nights in your beautiful house. We hope that you have a room for us - and how much does it cost per night per room? How much leva? We are expecting your answer. I'm interested for one dobble room for 3 persons (2 adults+ 1 12 year old child) during 8.08-15.08. Please send me prices and maps, tell me if the villa is or not near the sea. i need more details - how many bedrooms, bathroom, garage, etc, ?? ?